This year was the hubbies turn to pick Halloween Costumes for us. 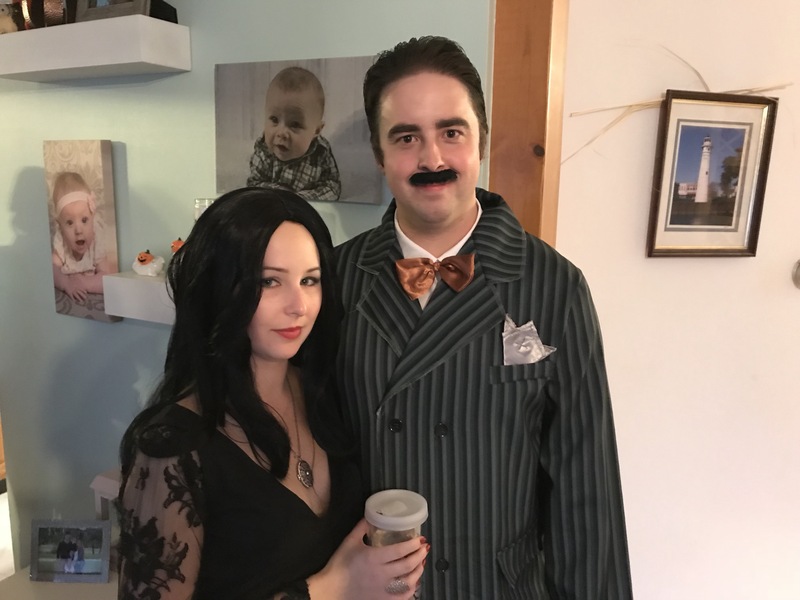 He had decided on the iconic Halloween couple: Gomez and Morticia Addams! What a great pick! Classic! 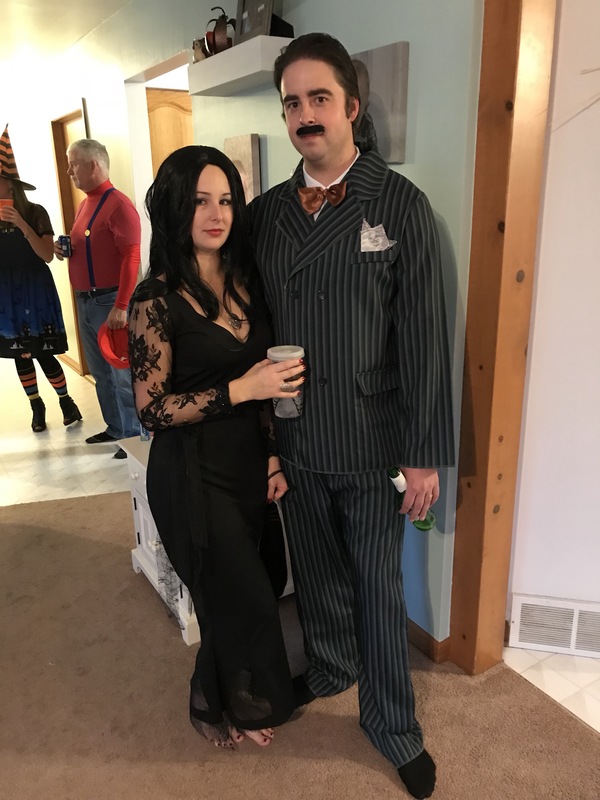 This refash only covers my Morticia costume, the hubby was set on buying his own costume. 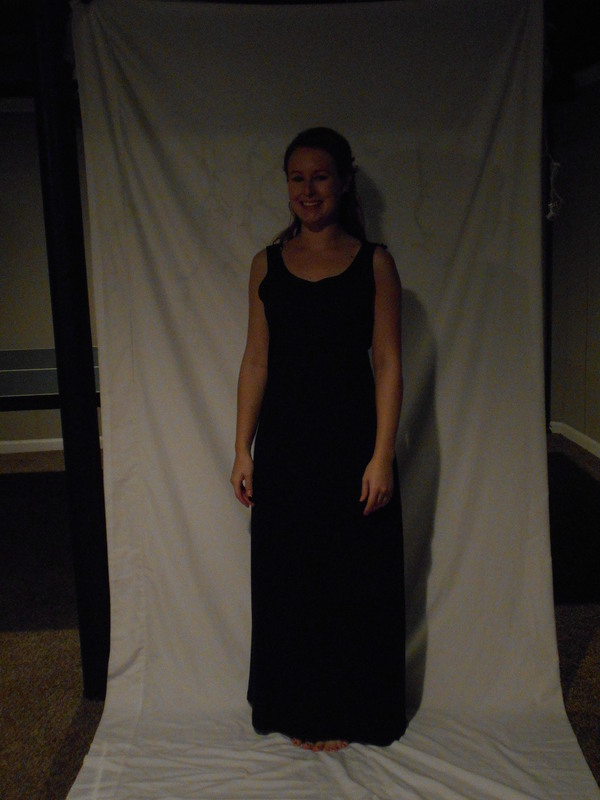 I stared with this plain long black dress. 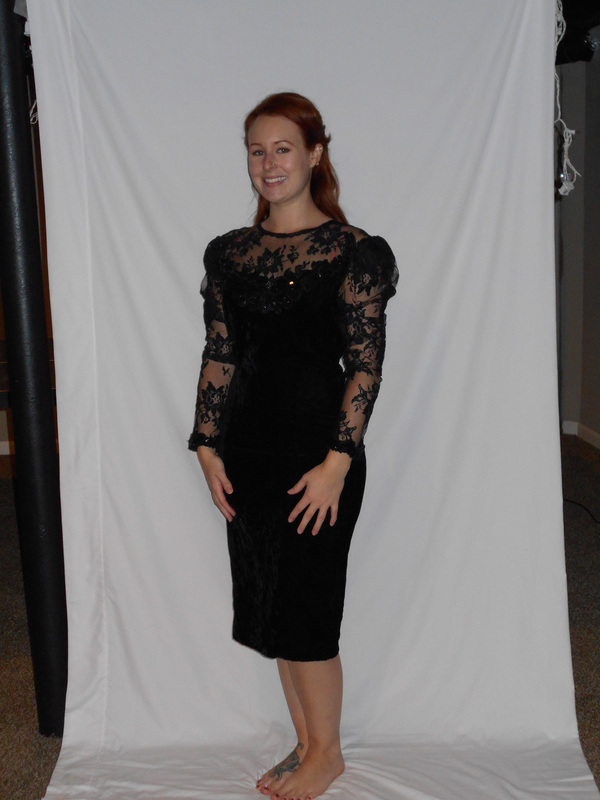 First step was to take in the long black dress so it was more form fitting. 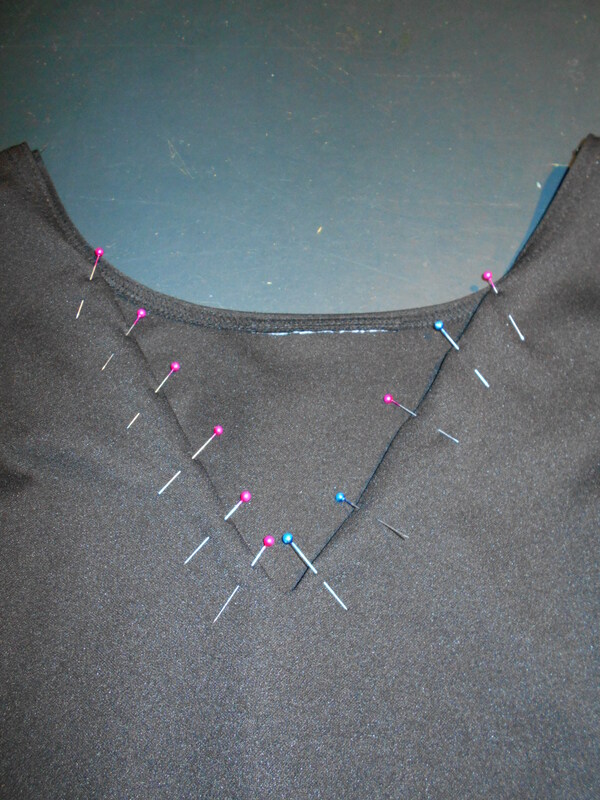 This was actually kind of tricky since I had to keep taking it on and off with the pins in it. Yikes! 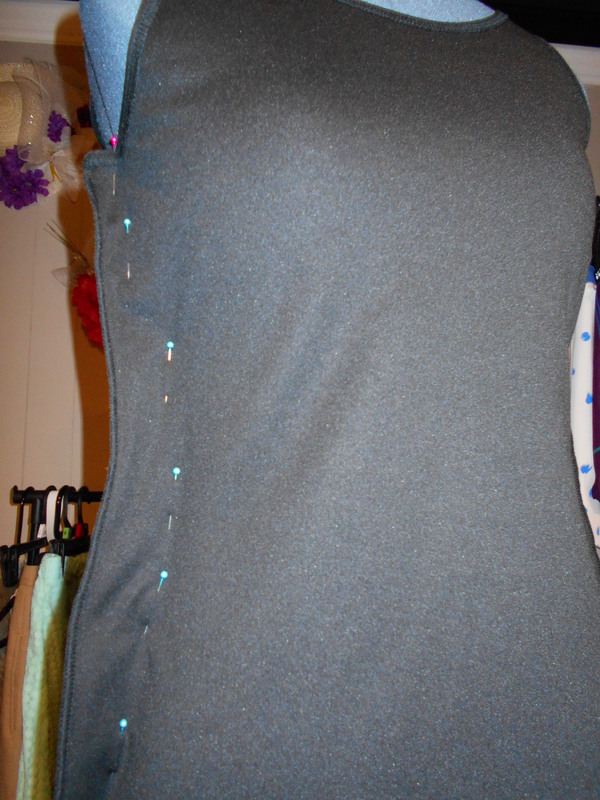 I cut a slit in the front of the dress and pinned back the sides to make it a deep v-neck. 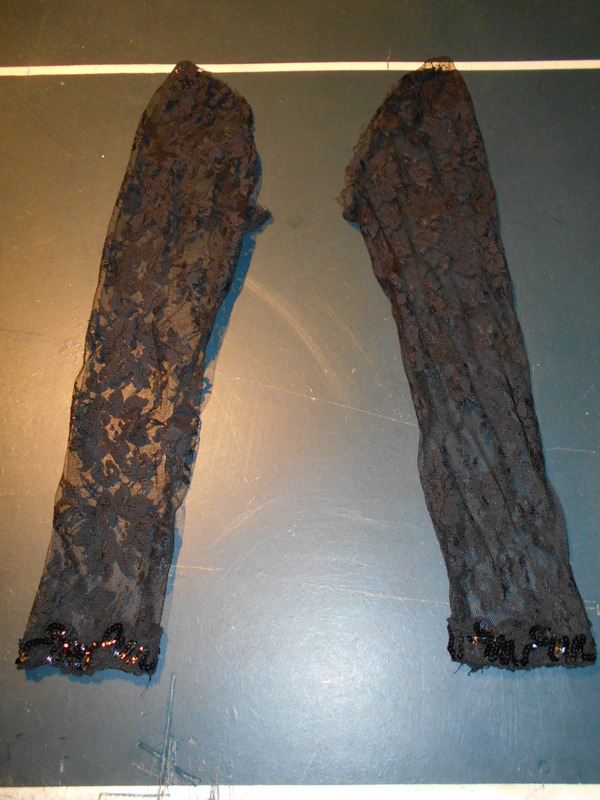 I took those lovely lace sleeves from the 80's dress. 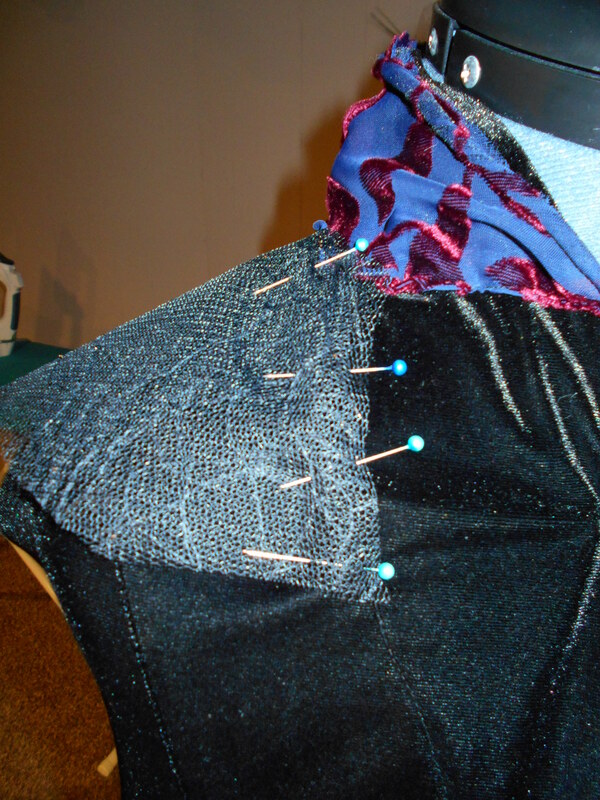 Pinned them to the arm holes of the long black dress. It took me about 1/2 a can of good ol' aquanet hairspray to make the pin curls in my wig to stay. 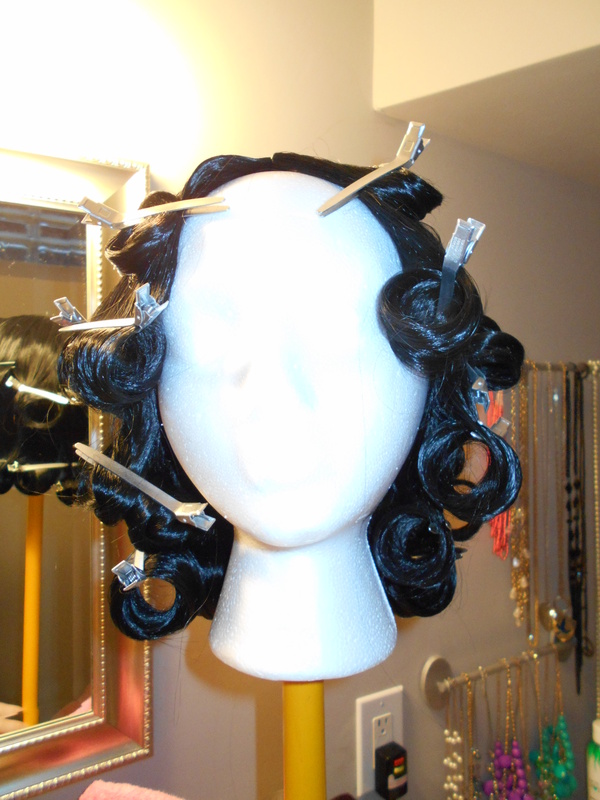 I let my wig sit with the pin curls for 2 days. 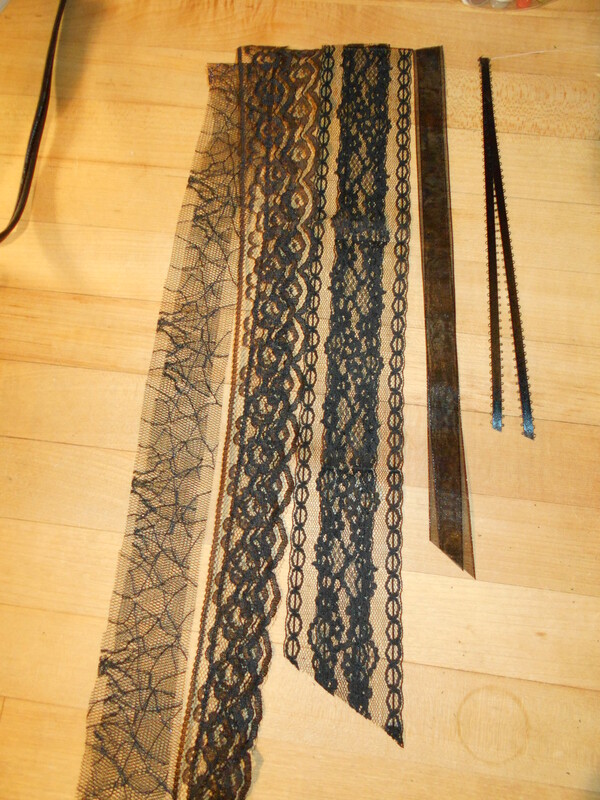 I cut lace ribbon and lace at descending lengths. 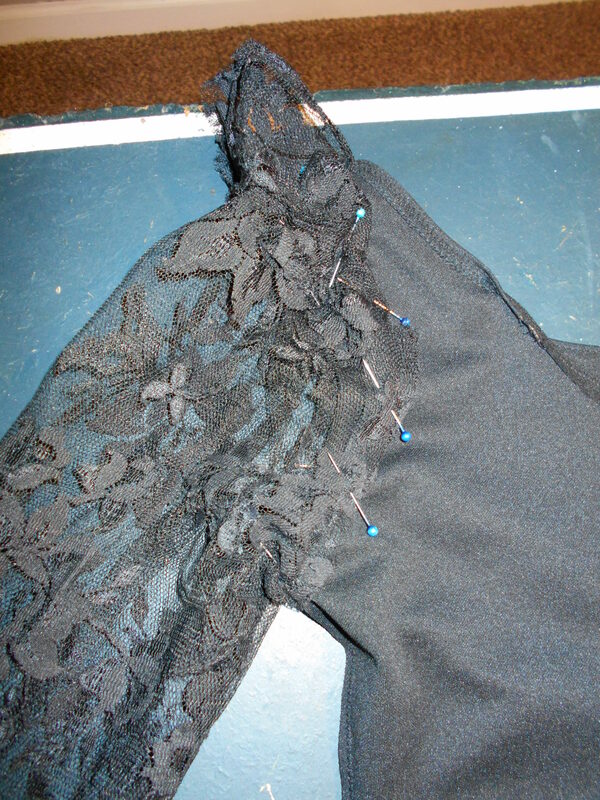 I used a seam ripper to open a hole in the sleeves in which I placed the ribbons and lace. 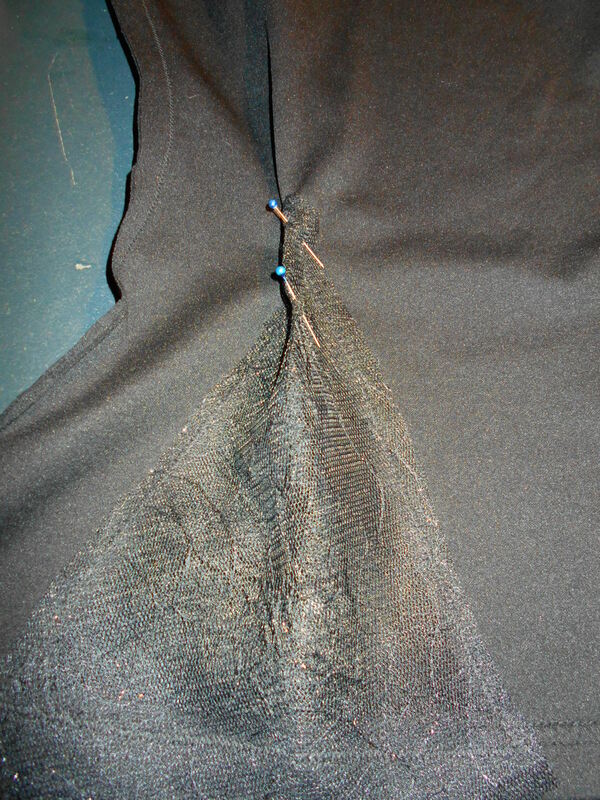 Then I stitched up the hole to keep the ribbons in place. 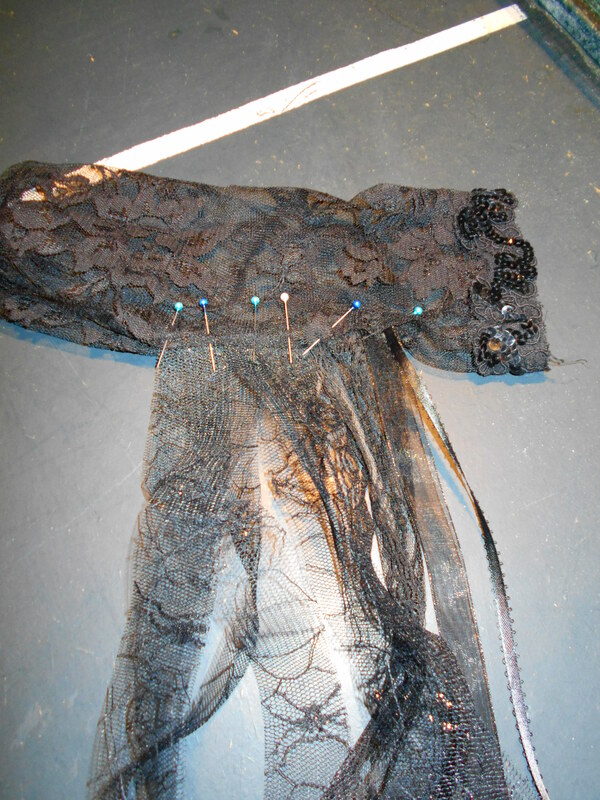 I sewed the spiderweb lace to the front and back of the long black dress. 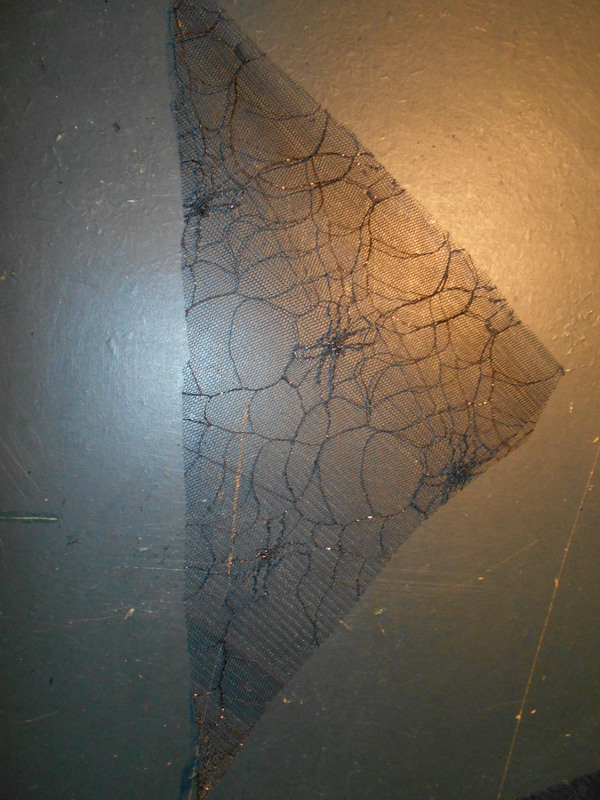 Once that was all stitched up I cut a triangle out of the black dress so that the spiderweb lace could show through. 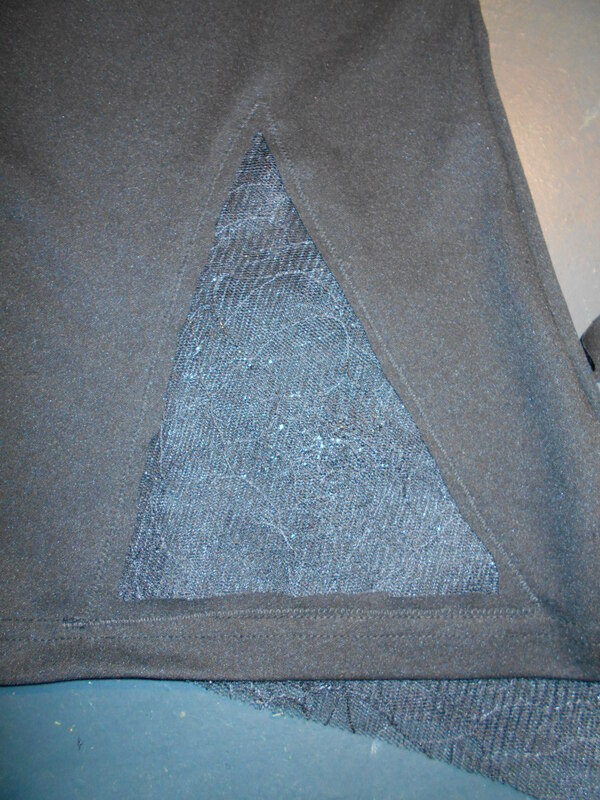 I also left part of the triangles hang passed the hem of the dress. I did not like the flat look of the cutouts once they were done. 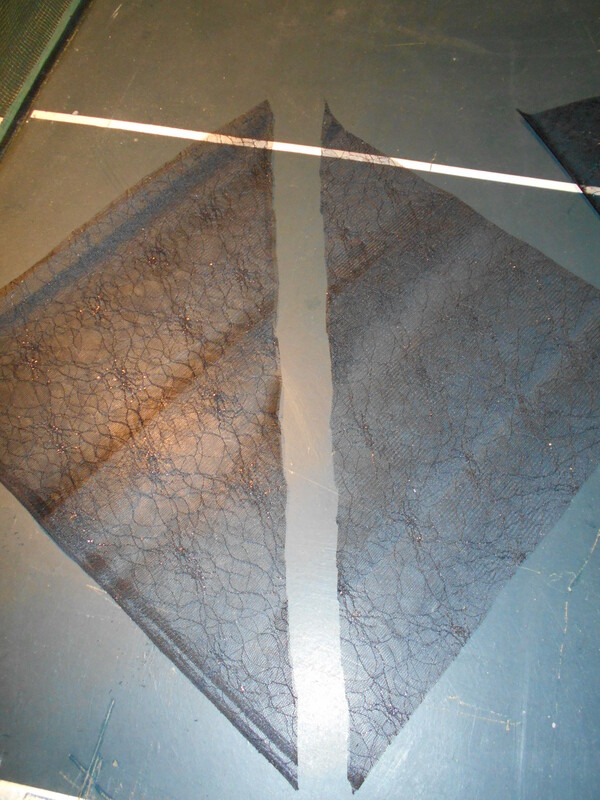 I stitched the top of the cutout into a dart, which gave it some depth. Remember me? 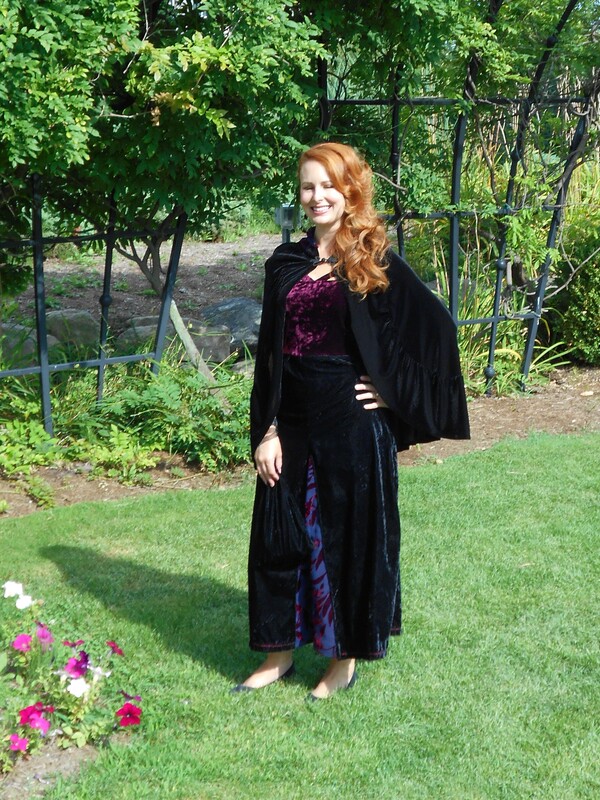 This was my Refashion Runway Season 4 Velvet challenge. I decided to reuse the cape from this one and incorporate it into my Halloween costume. 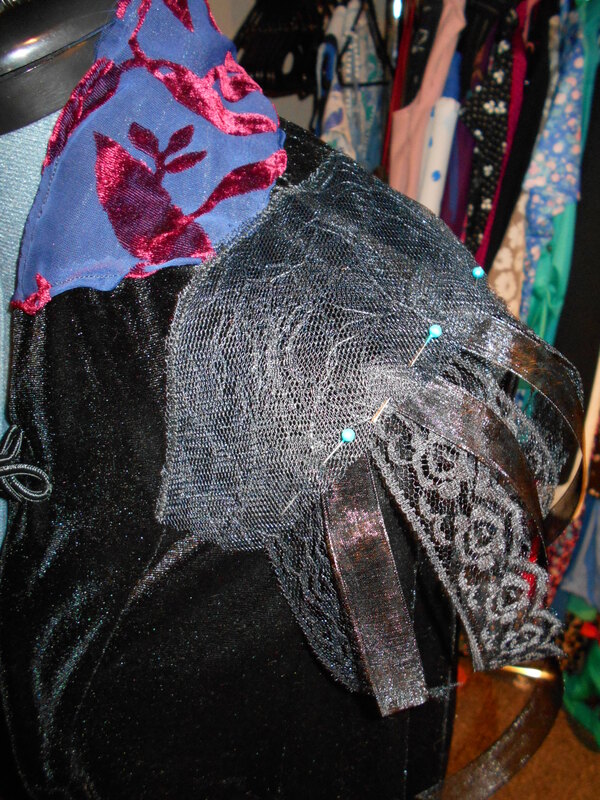 I added some spiderweb lace and black ribbon to make an epaulette (decorative shoulder part of a uniform) on the cape. Love this whole project idea. Your dress is fabulous and it is a great couples theme too. Grest in with this one.